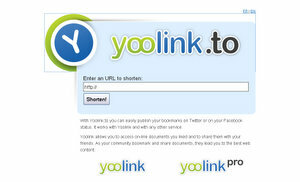 With Yoolink.to you can easily publish your bookmarks on Twitter or on your Facebook status. It works with Yoolink and with any other service. Yoolink allows you to access on-line documents you liked and to share them with your friends. As your community bookmark and share documents, they lead you to the best web content.